A train and boat ride through beautiful Welsh scenery with a delicious Cream Tea! The Brecon Beacons is a truly beautiful national treasure. Enjoy the scenery from the comfort of firstly a train, followed by a boat trip! Two enjoyable ways to make the most of your day out! 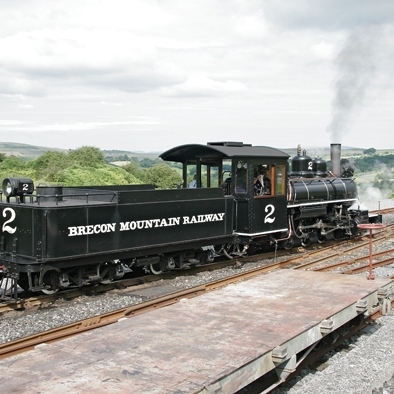 Travel from the Main Station at Pant in one of the all-weather Observation Carriages, behind a vintage Steam Locomotive. 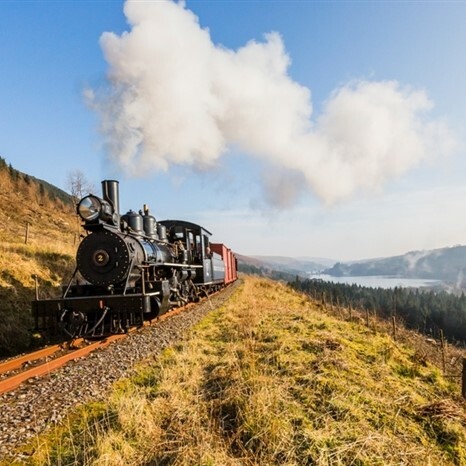 The journey takes you into the Brecon Beacons National Park, through Pontsticill and along the full length of the Taf Fechan Reservior before climbing to Torpantau high in the Brecon Beacons and the summit of the original line. At our main station in Pant you can visit our Licensed Tearooms for refreshments, gifts and souvenirs are available from the Shop. You can also visit the Workshop where the Steam Locomotives and Carriages are repaired. All trains travel non stop from Pant to Torpantau. 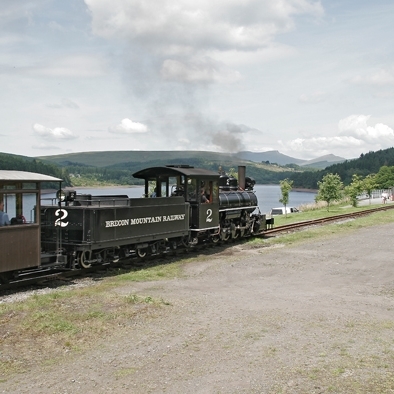 All returning trains from Torpantau stop at the intermediate station in Pontsticill* where you can visit the Lakeside Cafe, see our new Steam Museum, admire the view or go for walks alongside the reservoir, there is also a children's play area here. (*25-35 minute stop). Spend a delightful time cruising through some of the most beautiful scenery in Britain, lying within the Brecon Beacons National Park. The Monmouthshire and Brecon canal hugs the mountainside above the valley of the River Usk. Through the four seasons there a fine views and an abundance of wildlife to be seen. During the 2.5 hours boat cruise you will also enjoy a lovely cream tea!